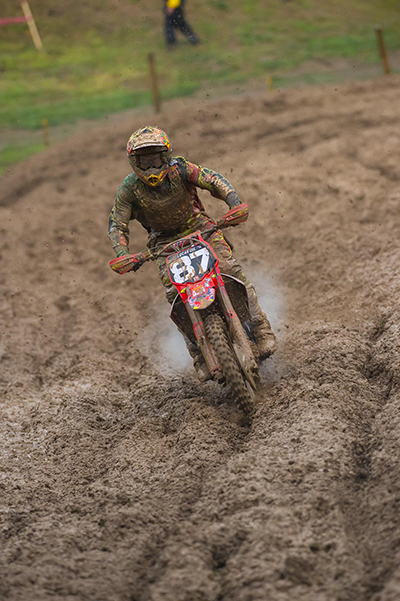 As if the playing field wasn't leveled enough at the brand new motocross facility in Crawfordsville, Indiana, the skies opened up before the first practice and turned a pristine course into a soupy mess. Mud is the great equalizer and as riders sloshed their way to the gate for the opening moto, it was anyone's guess who would win. TLD's Jessy Nelson has been staying down in Florida, committed to improving his craft and riding with the best in the business. 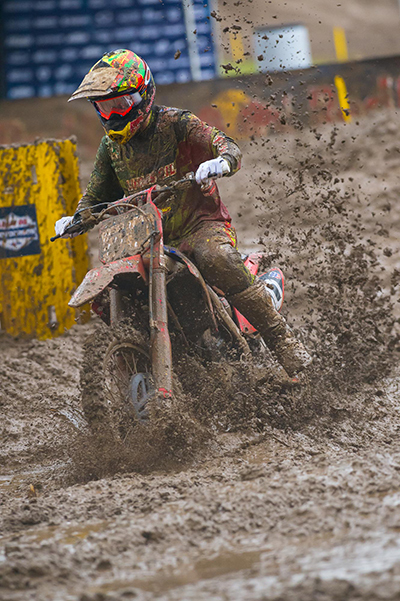 You might not think that a guy from Northern California would be an amazing mud rider, but when Jessy flew around the first turn in the lead, he looked very comfortable. He opened a gap up quickly and shades of Colorado sprung to mind. Could he hang on or would he falter and give up the lead? 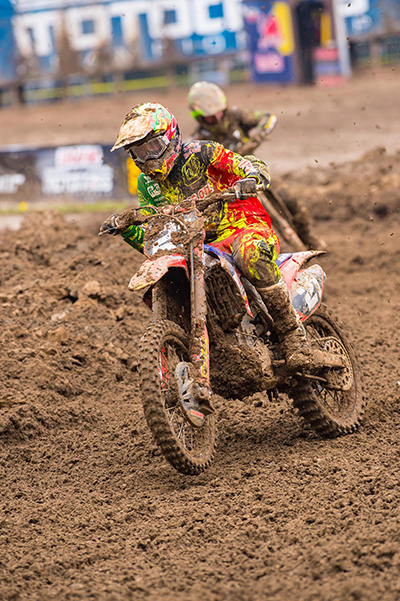 Nelson wasn't about to let this one slip away and splashed his way to his, and the team's, first ever Lucas Oil Pro Motocross win. Behind him, his teammates were doing their best to fight through the muck. Cole Seely didn't get the best start and he worsened his situation by crashing on the first lap. Cole put in an awesome ride to come from nearly last to finish tenth in the moto.Shane McElrath just couldn't get off the line, and while a start is always important, it is exponentially more critical in the mud. 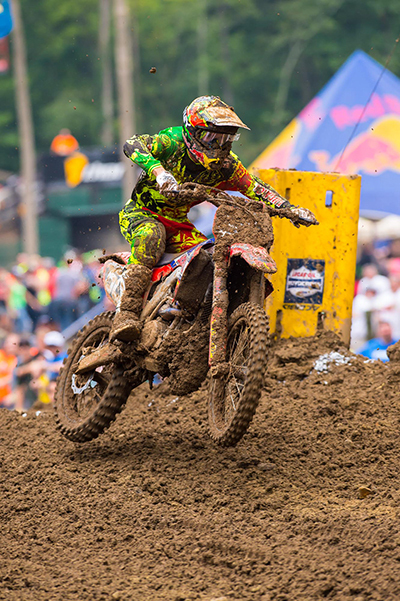 McElrath posted a fifteenth in the first moto. Moto two had everyone wondering if Nelson's first moto run was a fluke, and a second moto holeshot would prove that it wasn't. Nelson put his head down and started taking off once again, leading the race for the first twenty minutes. This time, however, Jessy hit a snag and washed out in a turn. He was up quickly but the pack was on him. While he fought to stay in the front, he would crash again and drop all the way to eighth at the finish. 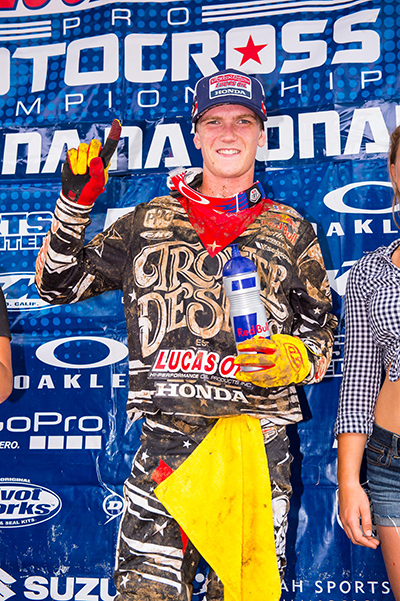 Despite the hiccups in the second moto, his 1-8 scores would earn him his first podium finish with third overall. Seely had a good start in the second moto and was in a good position when he tangled with another rider and went down on the backside of a blind jump. For safety purposes he was forced to wait for the entire field to pass before returning to his bike. He made a great charge through the pack again to finish thirteenth for twelfth overall. Shane started slowly once again but put in solid laps for eleventh in the moto and thirteenth overall. 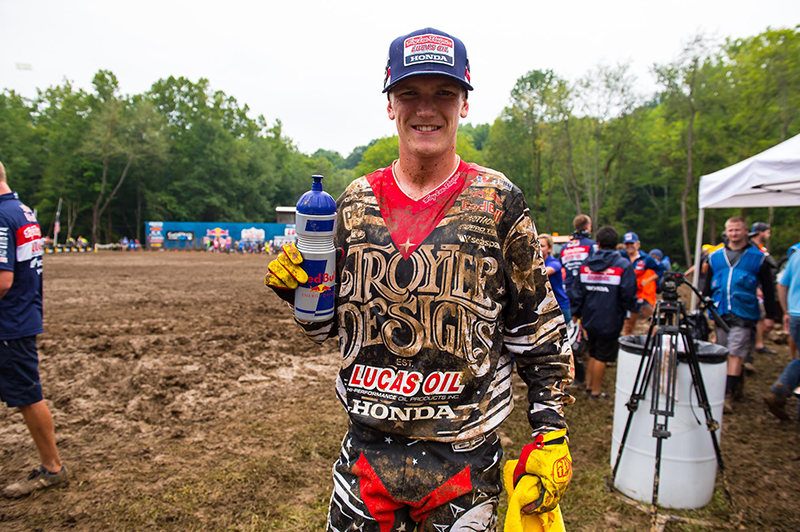 The Troy Lee Designs / Lucas Oil / MAVTV / Honda team would like to congratulate Jessy Nelson on a career best performance and encourage him to continue the trend at the series finale in Utah next weekend. In the meantime, the crew will spend the next several days washing mud from every nook and cranny on their bikes, equipment and person. If you happen to be within driving distance to Salt Lake City, make plans to get yourself to the final national motocross of the year next Saturday and watch the TLD squad lay it all on the line one more time in 2014. The TLD riders wore the 2015 GP Air Galaxy Black/Yellow gear and 2015 GP Ouija Black gear at Indiana MX. See more of these gear sets and the 2015 Moto Helmets online and at your local TLD retailer.